Bloomsburg University will end this fall’s Celebrity Artist Series line up with the Midtown Men performing this Sunday, Dec. 9, in The Haas Center Mitrani Hall at 7:30p.m. The classic 2005 Broadway musical, Jersey Boys, is a musical documenting the story of the electrifying 1960’s rock ‘n roll group, Frankie Vallie and The Four Seasons. Christian Hoff, Michael Longoria, Daniel Reichard and J. Robert Spencer formed the Midtown Men in 2007, making them the first vocal group to form from a Broadway show with the original cast. They will perform 140 times throughout 77 different cities across the country performing their favorite 1960’s hit songs, including “Big Girl Don’t Cry,” “Can’t Buy Me Love,” “Happy Together,” and many more toe-tapping tunes. To properly kick-off the holiday season, they will be performing a few classic, cheerful Christmas songs, including the first live performance of their original song “All Alone on Christmas.” The song was written and produced by Steven Van Zandt, guitarist for Burce Sprinsteen’s E Street Band. All digital sales of their original song “All Alone on Christmas” will be donated until the end of 2012 to the American Red Cross for Hurricane Sandy relief. Tickets are $17 for BU students, $19.50 for children, and $34.50 for all others. 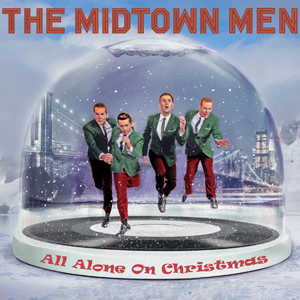 Don’t miss this rare chance to come see The Midtown Men this Sunday at 7:30p.m. Is there danger in the Jenner/Kardashian house?